The Bulgarian Black Sea coast runs along the entire eastern border of the Republic, starting from the Cape Sivriburun at the Romanian border to the mouth of the River Rezovska at the border with Turkey. The seacoast is about 165 miles long by sea and 354 kilometers by land, of which 200 kilometers are beaches that are more or less visited during all seasons. This impressive shore line, offers to the visitor more than 100 sandy beaches, secluded bays, picturesque estuaries with beautiful dense forests and at some places delightful mixture of mountain and sea climate. In this website we will do our best to provide full information about the beaches of Bulgaria, the nature and the atmosphere that surrounds them, and if possible the pros and cons of each summer vacation spot on the Black Sea coast. The Bulgarian Black Sea coast offers many different opportunities for recreation and entertainment. There is something for everyone – families, young fun-seeking people or nature lovers who prefer a peaceful and quiet holiday. Bulgarian beaches are popular worldwide for their fine, clean sand. Twelve Bulgarian beaches were awarded the Blue Flag in 2012 – a distinction recognizing a clean and ecological environment. The Black Sea is of low salinity and its tides are barely noticeable. It is excellent for bathing during the summer months. The summer temperature is moderate, rarely exceeding 28 °С, with sea water temperatures of 20 - 25 °С. Bulgarian Black Sea coast is also a place of great wildlife variety – there are hundreds of rare bird species due to the fact that Via Pontica (one of the main bird migration routes) passes through it. Numerous wildlife conservation parks with beautiful landscapes located along the coast preserve many rare and protected plant and animal species. Bulgaria’s government backed a memorandum with the company Madara Europe, represented in Bulgaria by offshore company Rainbow Malta Limited, according to reports of Sega daily. The company plans to invest over BGN 100 M in three hotels and three public service areas in the area. The project is to create 500 jobs in the municipality of Byala. Environmentalists are organizing a protest over the memorandum Wednesday at 6pm in front of the Council of Ministers building in Sofia. A media statement of the government informs that the memorandum entitles the investor to fast-track administrative service and institutional support from an inter-ministerial working group under the Investment Promotion Act. The InvestBulgaria Agency is to award Madara Europe an A-class investor certificate on the basis of the memorandum, as a result of which the company will be granted financial advantages. In mid-2013, Madara Europe renewed efforts to fulfill its intentions of building a holiday complex worth EUR 220 M in the area. In its initial form, the project known as Black Sea Gardens, envisaged construction works on a plot of around 700 decares in the area near the popular Karadere beach and the construction of a holiday village with 5000 apartments and villas with a bed capacity for 15 400. 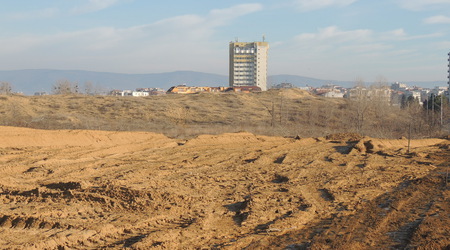 In May 2011, the environmental inspectorate in Burgas approved the project, but environmentalists lodged a complaint with the Environment Minister, claiming that the inspectorate’s statement was flawed. Under the initial version of the project, the investment was to amount to around EUR 1 B. The initial project was drafted by the world-famous architectural firm Foster + Partners in cooperation with architect Georgii Stanishev, brother of former Prime Minister and socialist leader Sergey Stanishev. The project has been reworked and now spans a gross floor area of 210 decares. It envisages the construction of 1200 separate housing units with an average size of around 120 square meters of gross floor area. 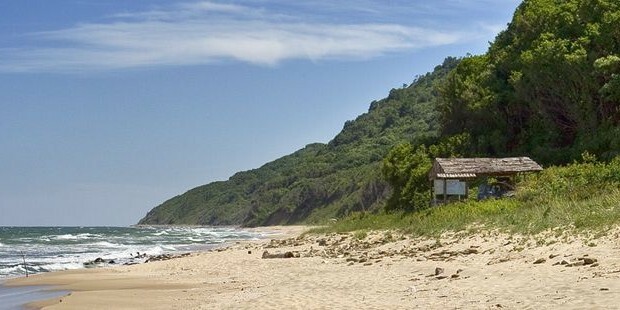 The Karadere beach is part of the Natura 2000 network, in the protected area Kamchiyska Planina, for the conservation of bird species and protected area Shkorpilovtsi Beach for the conservation of the conservation of natural habitats, wild flora and fauna. The government’s decision clashes with the stance of the ruling Bulgarian Socialist Party (BSP), which submitted to Parliament a draft memorandum on banning construction works on Black Sea coast areas in 2013. Bulgaria’s Black Sea resort of Albena now boasts having its own beach library – with books ready to be read come rain or shine. Even in these digital times, taking a book to the beach remains one of the most popular holiday pastimes. Now a German architect has come up with a novel way of getting an extension. The library’s stock of over 2,500 volumes in more than 10 languages is so far proving a hit, especially because all books on the shelves can be borrowed for free. “I think there is a wide choice of books and authors. Also, the library is getting richer because of our guests who leave their own books when they go home for others to read,” said Yovka Strashilova, Albena’s deputy manager. The special open-air library is made of material resistant to strong wind and extreme sun, and in rainy weather the books will be protected by vinyl, fastened with a zipper. Bulgarian Parliament voted yesterday, February 28 2013 to impose an almost-complete ban on dunes at the country’s Black Sea coast, with exceptions that would allow building for sites of national significance, those related to national security and for essential infrastructure. The law is among a number identified as urgent business for Parliament before it is prorogued ahead of Bulgaria’s ahead-of-term national parliamentary elections on May 12 2013. Lyuben Tatarski, head of Parliament’s committee on regional development, said that the ban would apply to zones A and B along the coastline. He said that the exceptions were necessary, for instance, to permit projects such as the South Stream gas pipeline to go ahead. The exception would mean that if South Stream had to go under a dune area, the law would not stop it. The legislation is a sequel to national controversies at the start of 2013 about building projects in ecologically sensitive dune areas at Nessebur and Irakli at the Black Sea coast. The construction projects resulted in large-scale public protests in several cities and a march on Parliament. Media reports in January exposed a construction project at Coral Beach that, among other things, endangered a rare Spring Snowflake species. Reports at the time said that the construction permit had been issued illegally. In the Nessebar case, environmental conservation groups and the media sounded the alarm when it was established that work was being done on land clearance and construction in a dune area. The controversy led to intervention from national government level and firings of a number of senior officials, and in turn, an investigation into land swop deals from 2003 onwards. A protest rally, titled “Hands off Irakli,” is taking place Monday in the capital Sofia and in the second and third largest Bulgarian cities of Plovdiv and Varna. The rallies start at 5:30 pm and are organized through the social network Facebook. Over 3 000 have already joined online and the number keeps growing. In Sofia, the demonstrators are gathering at the monument of Patriarch Evtimiy at the intersection known as Popa (the Priest). The procession starts at 6 pm in the direction of the Parliament, where the protest meeting is scheduled for 6 pm. The organizers stress the rally is legal since a permit has been officially requested. In Plovdiv, the gathering point is the central Saednenie (Unification) square, while the one in Varna is in front of the building of the “Stoyan Bachvarov” theater. The outrage was triggered by information that a company, Emona 2000, was pouring concrete to build a vacation village on what is one of the last remaining non-urbanized beaches in Bulgaria – Irakli. 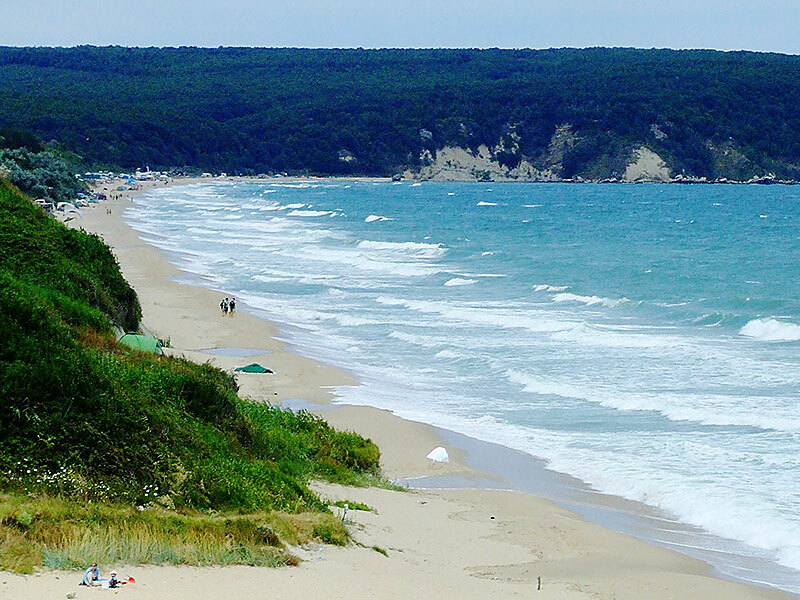 The demonstrators demand to declare Irakli and two other beaches so far without construction – Kara Dere and Kamchiyski Pyasatsi – protected areas and to issue orders for including them in Natura 2000. Meanwhile, the Bulgarian Ministry of Environment and Waters continues to reiterate that the grounds of the protest are subjective and lack constructiveness. An official statement, sent to the media by the Ministry’s press office, stresses that the terrain where the construction of the vacation village is taking place has been legally urbanized and by the time the investment proposal has been received there have been old vacation buildings on it. The statement is citing a probe assigned by Environmental Minister, Nona Karadzhova, upon receiving information about construction activities in Irakli. It underscores that “the procedure has been conducted in full adherence to the eco legislation and in full transparency. The scandal with the 29 decares of protected area between Ravda and Nessebar on the Black Sea coast erupted in the last days of 2012 when environmentalists said that the area was part of the Aheloy-Ravda-Nessebar protected area from the Natura 2000. It became clear that the area was sold without a tender based on an older law that was in force until 2010. The law technically does not provide any way of selling State land without tenders but it said it allowed procedures that started before 2010 to be completed under the older law. As a result, legal amendments are to be tabled to lead to a full ban on construction activities in Bulgaria on plots listed as sandy dunes, the Minister of Regional Development and Public Works, Lilyana Pavlova, confirmed Monday. The pledge was made after a meeting between representatives of environmental organizations, Prime Minister Boyko Borisov, Regional Development Minister Pavlova, Agriculture Minister, Miroslav Naydenov, and Environment Minister Nona Karadzhova. Pavlova also reiterated that the proposal will include a text to better define the notion “sand dune,” and amendments to the Forestry Act. Earlier Monday, the “For the Nature Coalition” of NGOs and civil groups sent an open letter to the media, listing the amendments proposed by them. They span over the Urban Development Act, the Forestry Act, the Black Sea Coast Urban Development Act, and the Preservation of Nature Act in order to prevent destruction of dunes in protected areas on the Black Sea Coast. Some of the amendments aim at having public access to the general and detailed urban plans for all construction projects, and to environmental risk assessments. Eco activists further demand changes in the statute of forests listed in Natura 2000 to include only State and municipality owned plots. It also emerged after the Monday meeting that Biser Dachev, Head of Bulgaria’s Executive Forest Agency, and Boycho Georgiev, Head of the Regional Inspectorate of Environment and Water in the Black Sea city of Burgas, will be dismissed over failure to react to tip-offs about irregularities with protected areas. 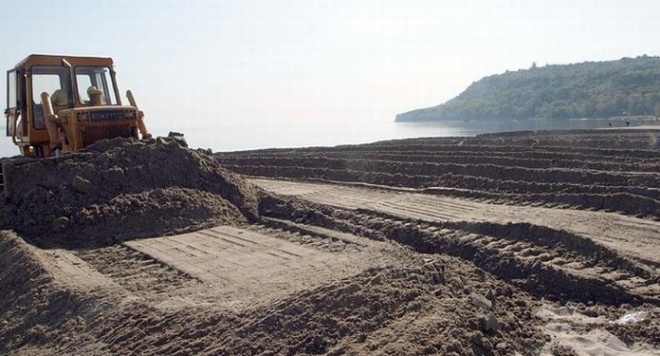 On Friday, Bulgaria’s Directorate for National Construction Control, DNSK, repealed the permit issued for residential construction in a protected area with sand dunes on the Black Sea coast near the top resort and historical town of Nessebar. The repeal of the construction permit, which came after a public outrage in the social media, was also announced by Pavlova. The Minister presented the results from the DNSK inspection regarding the construction permit issued for construction in the Kokala (The Bone) area, Cherno More (Black Sea) quarter, town of Nessebar. The construction permit included the first four stages of a total of 11 stages of construction in the protected area. It provided for the construction of 122 residential buildings. Pavlova said the permit was illegal because of the lack of technical project and engineering infrastructure for the 122 buildings. She noted that administrative sanctions and fines would be imposed on the Chief Architect of the Town Hall and some municipal employees. Also on Friday, it became clear that the Bulgarian Prosecutor’s Office started a probe into the case with the construction in the sand dunes area near Nessebar, which, at the Prime Minister’s request, will include the period from January 1 till December 31, 2012. Friday morning Agriculture Minister Miroslav Naydenov visited the area near Nessebar, and shocked the public by stating that he was going to ask experts from the Bulgarian Academy of Sciences, BAS, on their position on whether the protected area in question actually consisted of sand dunes. He further said that it was possible that the entire Cherno More quarter was built on sand dunes. BEACHES OF BULGARIA aims to provide full information about the Bulgarian beaches, the nature and the atmosphere that surrounds them, the pros and cons of each summer vacation spot on the Black Sea coast.